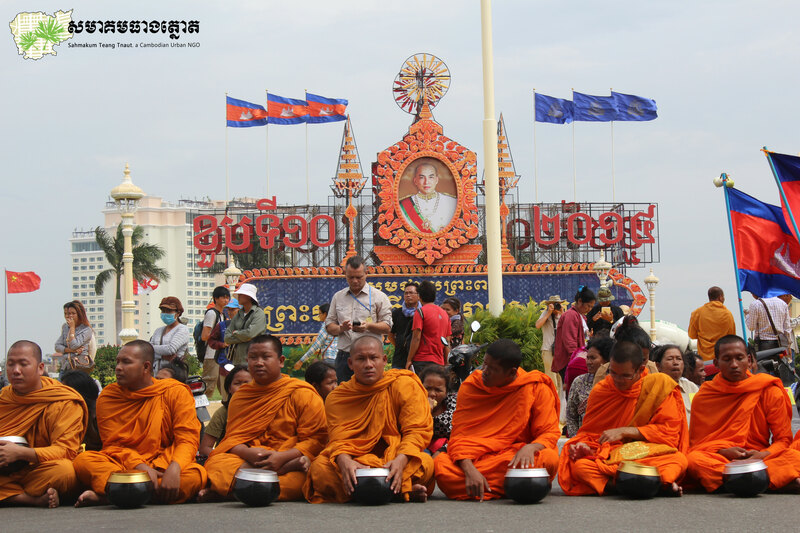 In the morning of the 18th of December 2014 at 8 AM, monks, community, land activists, youth and civil society organizations gathered in front of the National Assembly to called for the release of 18 activists currently in jail. 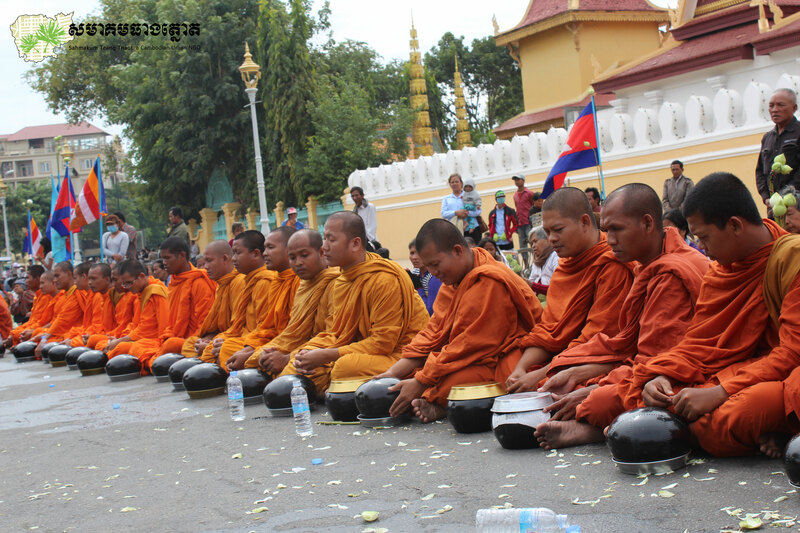 First, the group gathered in front of the National Assembly to request a response on the petition filed on the 14th of November 2014. 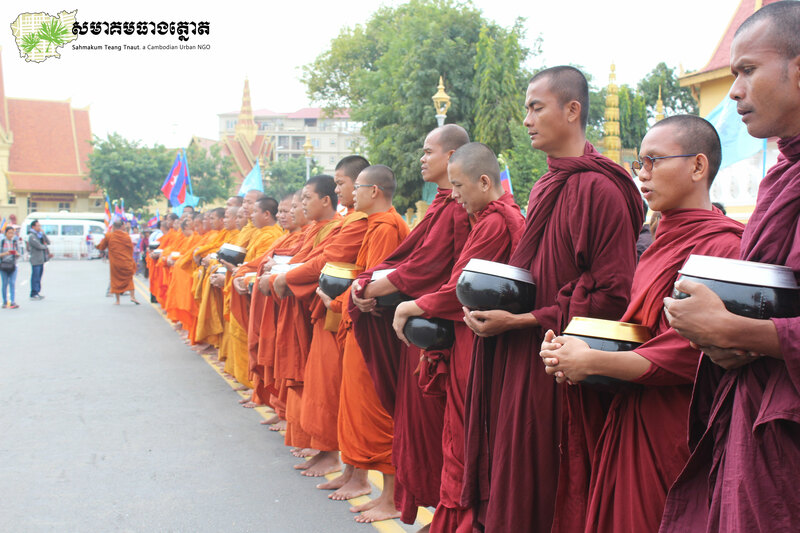 This initial petition was presented to the National Assembly for Ministry officials and the president of the Municipal Court to release the 18 activists who include men, women and monks. 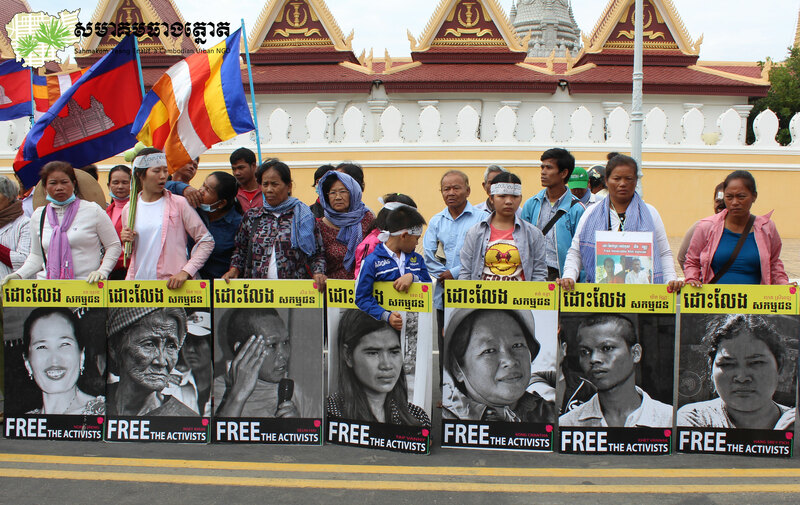 Second, the group gathered in front of the Ministry of Justice to deliver a new petition to push the Supreme Court to retrial the 18 activists by taking into consideration the human rights of the activists, ensuring that the proceedings are just. 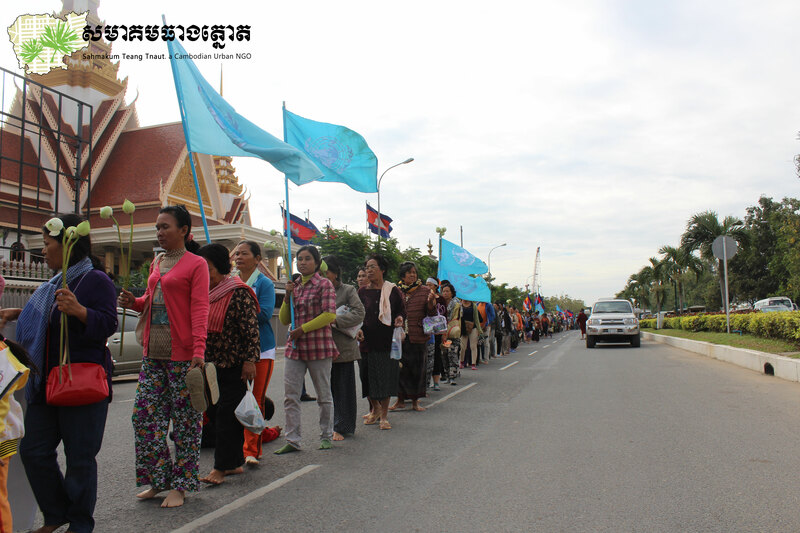 Finally, the group arrived in front of the Royal Palace to provide another petition to the King to intervene in the release of 8 female land and human rights activists, who part of the 18 activists. 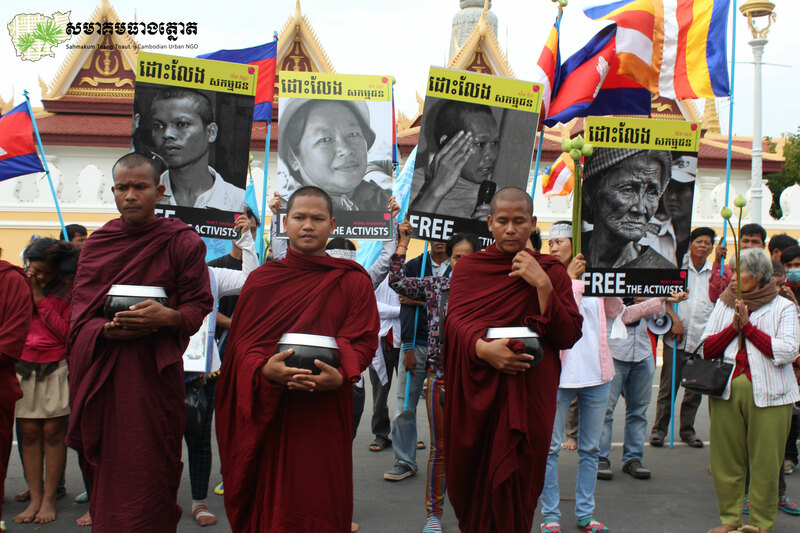 These women have been on hunger strike for the past 8 days, and they may face death without intervention as their health is extremely poor.